Take a night off to enjoy this celebration of love, family and belonging, set against the spectacular natural beauty of the Northern Territory. 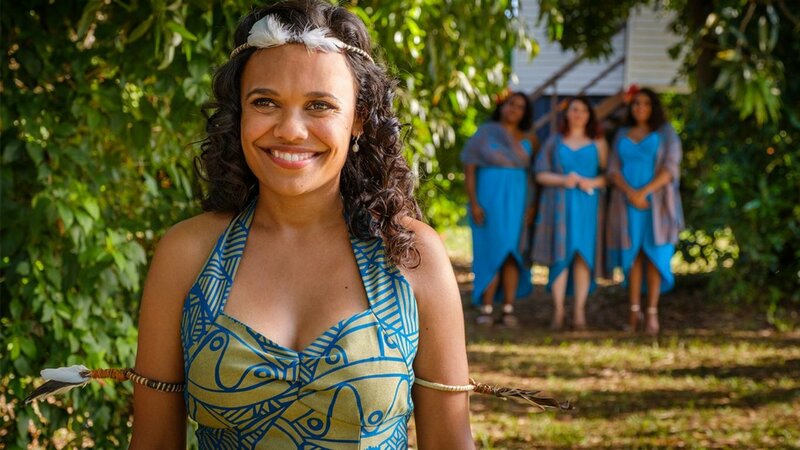 From the makers of The Sapphires, Top End Wedding is a heart-warming romantic comedy that tells the story of successful Adelaide lawyer Lauren (Miranda Tapsell) and her fiancé Ned (Gwilym Lee) who have just ten days to track down Lauren’s mother and pull off their dream wedding. Entries open April 1, 2019 at 12:00am AEDT and close April 28, 2019 at 11:59pm AEDT. Australian residents 18 years and over only. Limited to one entry per eligible member. Winners drawn April 29, 2019 at 12:00pm at 2 Holt Street, Surry Hills, 2010, NSW. Winner’s names published by May 30, 2019 on theaustralianplus.com.au. Win 1 of 100 double passes to Top End Wedding. Total prize pool valued at $4000.